With a Vogue Series pontoon boat, you'll enjoy a host of technological and practical innovations. 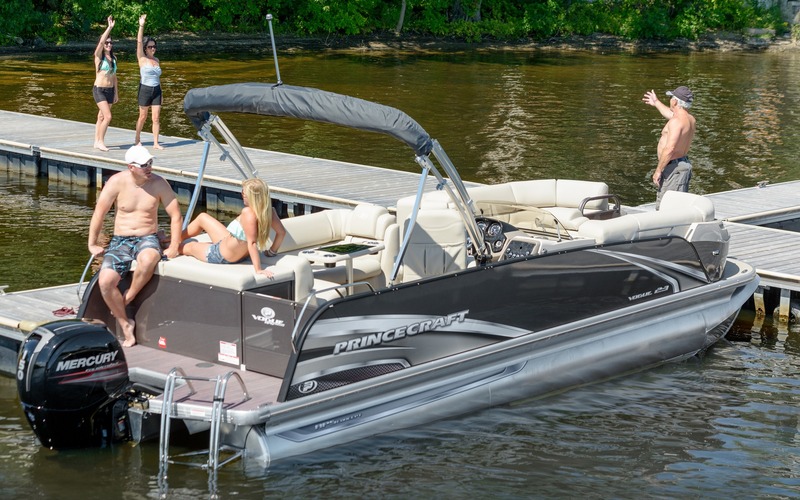 Designed and developed using Princecraft's Advanced Styling approach, its full height extruded panels and boldly molded fore section are proof that a boat must always be designed with the passenger in mind. One thing's for sure though, Vogue pontoon boats are built to provide you with lasting enjoyment.